In these sessions, I call upon my Spirit-Guides to offer messages, guidance, and instruction for your highest good. The higher beings I work with are Mary Magdalene, Yeshua (Jesus), Mother Mary, Isis, and Archangel Michael. You can request to communicate with a particular being among my Guides, such as Mary Magdalene. Or you can leave it up to them to decide who is moved, for your highest good, to communicate with you. The session includes receiving answers to questions that you ask. All messages and practices are universal and are not affiliated with any religion or denomination. These readings are especially valuable for directing you forward in your spiritual growth, as well as being in the company of a higher-dimensional being and experiencing their reality. The information is focused on healing and personal growth in ways that are tailored for each individual. In addition to individual sessions, I also offer GUIDANCE FROM BEINGS OF LIGHT sessions for couples. These are very wonderful for 1) the beginning period of a new relationship, 2) to go deeper in an existing relationship, or 3) if you want help with challenges that are coming up with your partner. My Guides have specifically asked that I offer the GUIDANCE FROM BEINGS OF LIGHT readings in combination with followup support for the material that is brought forth.They have trained me in the kind of support they want given as followup to their readings and made it clear that they want me to provide this aspect of helping people. So I offer the readings as a package that includes a followup coaching session. Readings are available in-person or long-distance (by phone, Skype, or Zoom). —Teresa, semi-retired IT Business Analyst, U.K.
“What words can I say to express the gratitude of an eternity. What occurred during our session, I have been waiting for for 2000 years. This was not like any reading I have ever had because so much was happening on an etheric level. The code in my etheric body was being re-written. The energy was compressing so strongly into my physicality, and Love and Compassion filled my Beingness. I felt so solid in myself and felt my energetic-spiritual boundaries so cohesive. I felt Me as an Individualized Being, instead of me having to filter others out. “At one point during the session, I was being supported into feeling the distinction between my path and the other being I had become enmeshed with. I literally felt my etheric body and nervous system unraveling from the enmeshment and saw two distinct columns of Light and again. I felt so solid in that. I have never had a reading in which it did this so clearly. The readings I have had have only reached me on the mental plane and some on the emotional plane. I am so grateful to you!! I have been feeling difficult emotions since then, and I suspect integration will occur over time. I am allowing myself to be right in it and do the process we were instructed to do in the session. Click below to listen to a channeled message from Mary Magdalene on January 22, 2011. Click below to listen to Mercedes channeling a message from Isis on March 7, 2011. Click below to listen to Mercedes channeling a message from Yeshua on May 9, 2011. Question: I would like to understand how it is that people are addicted to drugs or alcohol or obsessed with gambling. What’s the best way to help them? Archangel Michael: Yes. Well, first of all it is important to understand that everyone has come into this life for certain learnings, certain experiences. And we choose all different experiences in our life to support us in our growth. And so, those who have chosen to experience addictions made that choice at a soul level, because it was part of their exploration of this dimension, this particular way that the Divine is manifesting in this realm. Similarly, those who choose to be involved with others who are having what you term “addictions” chose that as well, as part of their experience of having the learnings, having the soul growth of being involved with those experiences in this form of the Divine manifesting itself. It is very important that you do not get into the consciousness of right-wrong, good-bad, thinking that there are certain things that are bad, certain things that are good, certain things that are wrong, certain things that are right. This is not to say that there are not choices that make it easier for you to experience your connection to the Divine — this is not to say that that’s not the case, because it is true: certain choices do make it easier for you to experience your connection to the Divine. That is part of the soul learning as well. But with labels such as “addictions” and things like that, it’s very easy to get into the mindset that that individual is stuck, is somehow lower, is somehow inferior, weak, whatever it is. These are your growth lessons, if you are caught in that way of thinking, and it is your opportunity that you are having, to grow beyond that. Truly, in this realm, the challenge is to see every being, every experience as nothing but God. Nothing is ever separating you from God. And that is part of the great challenge, the great growth in the third dimension. So ultimately everyone chooses every experience here. Then when you die, you will remember that you have chosen this. You will have a chance to reflect upon it. You will have an opportunity to see if this has served you, if you are complete with the learning or if you choose to have more learning in this arena. And you will continue from there. Of course, I am not meaning just you. Every soul will engage this, will have this opportunity. So, for those who are involved in these particular behaviors that you call “addictions,” it is really no different than any of the rest of you in this realm. You are having your limitations that you have chosen to assume, and you have an opportunity in every moment to find God in the midst of that. Now at a more practical level, at a more perhaps third-dimensional way of viewing things, what you call “addictions” are safe havens, you might say, resting places, often times from parts of reality that are scary for people to deal with. These parts of reality often involve some form of emotional pain that someone has experienced, often in this lifetime, but it can be from another lifetime. So, as a soul choice, someone chose to have a certain experience of soul pain, and then they are having their experience of how to find God in the midst of that. One of the options that people have at this third dimensional level is to have other experiences to see if that can support them in this process of exploring soul pain and exploring how to connect with God in the midst of soul pain. So people who are involved in these behaviors are generally doing that. But it’s important to understand that everyone is generally doing that. It’s not just the person who’s going out and having a drink or obliterating themselves with alcohol or whatever else they’re doing, whatever substance they’re using to do that. But people do it in every moment. They do it through talking. They do it through thinking. They do it through achieving, and working, and becoming good citizens, and whatever else you’re spending your life doing, watching TV, or eating popcorn, or whatever it is, listening to the news, staying current, all these things that people are doing. They’re all different forms of experience that people are doing, and much of it people are doing because they’re trying to find a way to reconnect with the Divine. They have a remembrance of the peace and the joy of connection with the Divine. And in this third-dimensional realm, it’s not so easy to find that path. So they’re exploring different avenues of trying to find that path. That is all that most everyone is doing. People who are involved in addictions are exploring avenues of reconnection that, you might say, are kind of detours. Some of these avenues of reconnection, you might say, might even be dead ends. But that is part of their soul contract to do that. If part of your soul contract is to have a relationship with people who are doing this kind of thing, or to try to help someone who is doing this, first and foremost your work is to recognize whether your response to your soul contract is helping you to connect with the Divine. That is the tricky part for many people, because helping others, teaching others, being in relationship with others who you are seeing as doing addictive behaviors could be your form of addiction. You could be just as equally addicted as they are. Always, the path is to connect with God. And then ask God what is your work to do. It may be to have nothing to do with these people. Not that you have to shun them, but it may not be your work to be involved with them. It may not be what serves you. It may not be what serves them. It may not be what serves life. If it is your work to do something with these people, it will be shown. But it will only be your work if it comes from freedom, if it comes from your complete connection to God first. And it will always respect their free will, because you do not know their soul choice. You do not know what is serving them. Your guidance is through God. Thank you, dear ones. Shine your light. Shine the light of God. Receive that light most fully. Let it be your primary food. And indeed it will become more and more your food. Ingest that light and become beings of light. And as you do that, your reality will change. It will become a new reality, a reality of light and love. And it is underway. And know that you are blessed and enfolded by so many beings who love you and support you, who thank you for all you do, and whose great joy it is to help you. Call on us. We are here for you. We love you greatly. 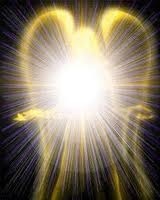 I AM Archangel Michael, and my blessings are yours. Mercedes Kirkel is a multi-award-winning author and channel for Mary Magdalene and other beings of light. 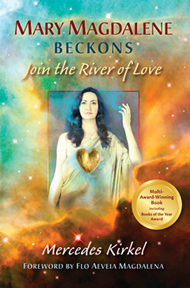 She is the author of Mary Magdalene Beckons: Join the River of Love, which is available at www.marymagdalenebeckons.com.